Has American Christianity Become the Corinthian Church? Be on your guard; stand firm in the faith; be courageous; be strong. Do everything in love. You know that the household of Stephanas were the first converts in Achaia, and they have devoted themselves to the service of the Lord’s people. I urge you, brothers and sisters, to submit to such people and to everyone who joins in the work and labors at it. Verse 13 - Be on your guard; stand firm in the faith; be courageous; be strong. • As the Apostle Paul often did in his letters, he summed up the main point of the entire epistle into one verse near the end of the letter, and this is that summary verse. In 1 Corinthians, Paul dealt with various abuses of Christian liberty the Corinthians had taken. Some examples include: sexual immorality, taking communion improperly, using spiritual gifts in incorrect ways, and doing good deeds without love. In each of the issues that Paul deals with throughout Corinthians, his emphasis is on living in such a way that our Christian conduct builds up the local church instead of ourselves. This was foreign to the self-centered way that Corinthians lived. To be a Corinthian was to be a self-centered wild party animal. To be honest, it is fairly foreign to the way most American Christians live as well. • Paul reminds the Corinthians to always be on their guard against taking God’s grace for granted. This is good advice for us too. Though there are many things that we COULD do as believers, that does not mean we SHOULD do them. We must always guard our hearts from being self-centered and egotistical in our faith. Despite all our fancy talk about loving the Lord, most of our efforts in our personal lives, and in our churches, revolve around meeting our own needs, not building up others or glorifying the Lord. Just look at the list of programs most churches offer, most of them are to benefit the members, not to serve the community. 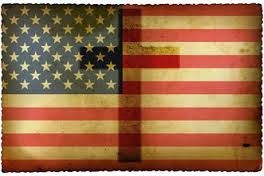 American Christians do not love the idea of sacrifice, or doing without, so that others can have what they need to live. Living in such a way requires a stronger, firmer faith, than most of us have. • This is why Paul challenges us to stand firm in our faith. If our faith is not strong, it is impossible for us to live the Christian life God wants us to live. This is a common theme found throughout the scripture. If we do not stand firm in our faith, we will not stand at all (Isaiah 7:9). We cannot have an on again off again faith that wavers back and forth with every change of situation. Without faith it is impossible to please God (Hebrews 11:6). If we try to base our faith only on good works, we never really feel like we have pleased the Lord. We must base our faith on Christ alone for both eternal salvation and daily living. With people, such faith is impossible, but with God, all things are possible (Matthew 19:26). God will help us do this, but we must learn to trust Him. • Learning to trust God completely takes great courage, especially for independent minded Americans who do not like to rely on others for help. The phrase “be couragous” is the Greek word andrizomai (ἀνδρίζεσθαι), which literaly means “to bear oneself manfully, or to be manly in bearing and action.” That is why in other versions of the Bible, the phrase “be courageous” is written as “act like men,” or “be manly,” which is actually closer to the original language. We need manly courage to live for Christ. • Because most of us prefer to trust what we can see, it takes a lot of courage to trust God, who He is unseen by our human eyes. It takes a lot of courage to serve in the church because there is always someone who will complain about how we did things. It takes a lot of courage to speak about our faith outside of church, especially in a culture that is increasingly anti-Christian. But if we follow in the footsteps of Jesus, who had the courage to go to the cross, He will give us the strength to be courageous both in and out of church. • For those of us who doubt if we are up to the task, notice the last phrase, “be strong.” Paul uses a very uncommon Greek word here, it literally means, be strengthened, which implies that the source of strength was not in ourselves but in something outside of us. The source of our strength is the Holy Spirit. Will we allow Him to work in our lives? • Ultimately, our manhood, our courage, though weak in the human sense, once empowered by divine strength, will brace us for all we are called to do for the Lord. This is also a common theme in scripture. We are more than conquerors through Him who loved us (Romans 8:38). Greater is He who is in us than he who is in the world (1 John 4:4). The great challenge is to make sure that as the Lord empowers us to do great things for Him, we must not start thinking more highly of ourselves than we should. /Our entire life must be encapsulated by the love of Christ. Verse 14 - Do everything in love. • The idea of loving others was so important that Paul devoted a whole chapter in this letter to the concept of love (chapter 13). Far too often Christians say, do, or believe the right things, but fail to do them in love, or for the right reasons, and therefore miss the point of what God was trying to have us do. When we do the right things for the wrong reasons, or without love, we miss the blessing that God wants us to have in our service to Him. Perhaps this is why we no longer enjoy serving in church. If our service to God no longer feels like a blessing, it might be time to do a heart check to make sure we are serving in love. When we do the right things for the wrong reasons, or without love, our actions lose much of their effectiveness because the power of the Holy Spirit is no longer in our actions. Wow, just dwell on that idea for a moment. Note that being strong and manly is not the opposite of being loving. They should work in partnership with each other, not in opposition to each other. • This verse introduces us to Stephanas, whom some scholars suggest was the Philippian jailer who came to faith in Christ in Acts 16. Others suggest that he was a wealthy business man from Athens whom Paul had led to faith while there and who later moved to Corinth. 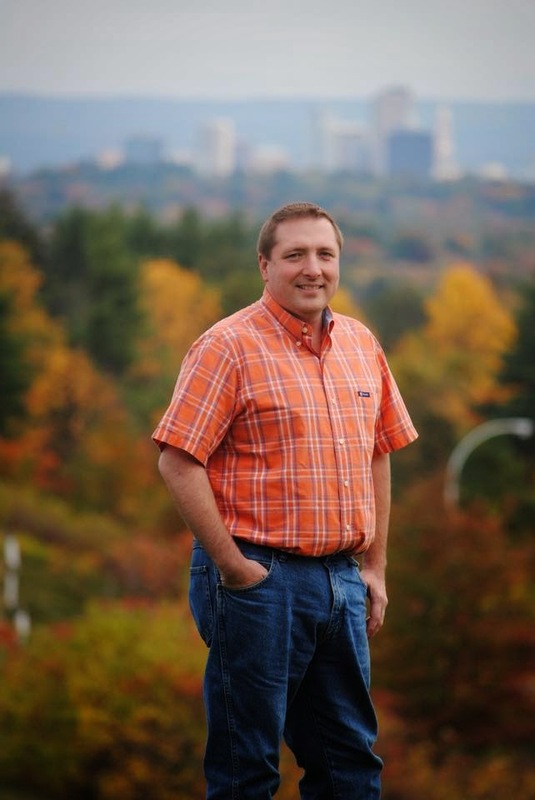 We may never know exactly who Stephanas was, but we do know that he was devoted to serving others. Paul commends him for this. This fits the theme of the letter because the Corinthians were having trouble serving others. Paul tells them to submit to people like Stephanas, who liked to serve. • Submit means to line up in order of authority. Though all are equal in the church before God, God has chosen to put some people in authority so that the church can function well. God chooses leaders who like to serve others, which is not always what the church chooses. If we desire to be leaders in the church, whether we ever hold an office or not, we must be known for serving others and for our willingness to submit to those who serve others. How can we be known for that? • Verse 16 tells us to join in with others who labor for the Lord. Though the modern generation is not much on joining groups, there is something powerful about joining up. If we are not members of a church, we should do whatever we have to to join a church. • Verses 1-2 of this chapter remind us of the importance of giving to the church financially. • Though none of us like it when churches talk about money, how do we expect the church to do what it does if no one gives? If everyone gave what they should, we would not have to continually take up special collections. So if we do not like special offerings, let’s give what we should to the main offering and there will be enough to meet all the needs. • Verses 10-11 remind us to support the pastor and the missionaries in their efforts to share the Gospel with others. Sometimes a door for ministry opens and we should do whatever we can to help those who feel called to go through it. • Finally, verses 19-20 remind us to cooperate with other churches. This is why every church should be part of a group of churches instead of being a lone ranger church. We can do far more together than we can on our own. 1. Be on our guard against self-centered Christianity. 2. Be firm in our faith. 3. Be men and women of courage. 4. Trust the Holy Spirit to give us strength. 5. Focus on serving others by joining a church, supporting the church financially, supporting the pastor and missionaries in their ministries and by cooperating with other churches. As Christmas approaches, I've been thinking about the role angels played in the Christmas story. Angels have always served as God’s messengers. They still exist today and continue to serve as God’s messengers. Though angels are very real, we should never pray to angels, or worship them, because only God deserves that honor. But we can learn some important truths about life by looking at how angels impacted the Christmas story. Luke 1:11-13 - An angel of the Lord appeared to him, standing to the right of the altar of incense. When Zechariah saw him, he was startled and overcome with fear. But the angel said to him: Do not be afraid, Zechariah, because your prayer has been heard. Your wife Elizabeth will bear you a son, and you will name him John. • Zechariah was a priest at the Temple and was offering incense at the altar when he saw an angel. • Because of the large number of priests and limited number of times incense was offered, this was probably a once in a life time experience for Zechariah. 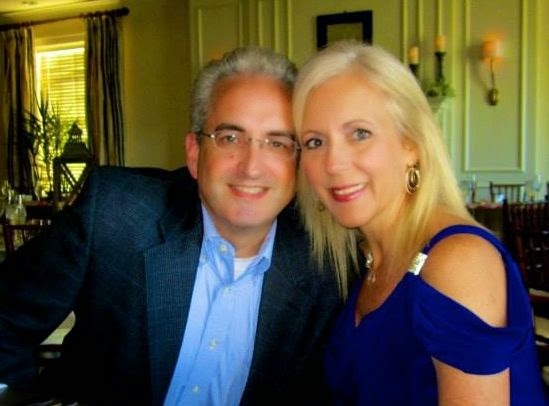 • Zechariah and his wife Elizabeth had not been able to have any children and now were too old for it to happen naturally. • As Zechariah prayed, he asked God to do a miracle and give him a son. • There are moments in our lives that are so special, they will never happen again. We should learn to cherish such moments. • Likewise, we all have supernatural experiences that are once in a life time moments with God. We should not take them for granted because they cannot be recreated. • Other times God puts a desire in our hearts that just will not go away. We should keep on praying, even if it seems impossible for it to happen. • An angel of the Lord appeared to Zechariah while he was praying, which startled him and he was overcome with fear. • Zechariah was so shocked that he did not believe the message the angel told him. • It is ironic that Zechariah was praying for something important to him but when God answered, he was startled and afraid. • But if we are honest, we would have to admit that the same thing sometimes happens to us. We pray and then are surprised when God answers. The First Message of the Christmas Angels for us today is: We should pray in faith believing that God hears and responds. Luke 1:26-29 - In the sixth month, the angel Gabriel was sent by God to a town in Galilee called Nazareth, to a virgin engaged to a man named Joseph, of the house of David. The virgin's name was Mary. And the angel came to her and said, "Rejoice, favored woman! The Lord is with you." But she was deeply troubled by this statement, wondering what kind of greeting this could be. • Mary was Zechariah’s wife’s cousin. • In the 6th month of Elizabeth’s pregnancy, the same angel came to Mary and gave her the same message, which was that she would also have a son. • Some churches teach that Mary was sinless or had some other special spiritual quality that made her “worthy” to bear the Christ child. • Nowhere in the Bible does it say that Mary was extraordinary, as a matter of fact the Bible is actually silent about the background and life of Mary. • The Bible is silent about Mary because the focus should be Jesus, not on Mary. • If any of the visitations of Mary that people claim to have are real, Mary’s first message to them would be to stop praying to her and worshipping her, because Jesus alone is worthy of worship. • Mary was an ordinary person whom God chose to help accomplish His extraordinary plan. • God still uses ordinary people to do remarkable things. Luke 1:38 - I am the Lord's slave, said Mary. May it be done to me according to your word. Then the angel left her. • Mary’s response to the angel was that she was willing to submit to God’s plan for her life even though it made no sense at all. • She got to see God do some amazing things and her life was blessed because of her willingness to obey God’s plan. The Second Message of the Christmas Angels for us today is: God uses ordinary people to do extraordinary things if we are willing to be obedient to His plan. Luke 2:8-11 - In the same region, shepherds were staying out in the fields and keeping watch at night over their flock. Then an angel of the Lord stood before them, and the glory of the Lord shone around them, and they were terrified. But the angel said to them, "Don't be afraid, for look, I proclaim to you good news of great joy that will be for all the people: today a Savior, who is Messiah the Lord, was born for you in the city of David. • The angel proclaimed good news to the shepherds and the same good news is proclaimed to us today. • The good news is that we no longer have to endure lives of emptiness but we can have hope and purpose. • The good news is that we no longer have to bear the guilt of our sins, or fear hell, for our sins can be forgiven. • This good news is for all people. How have we responded to it? Luke 2:15 - When the angels had left them and returned to heaven, the shepherds said to one another, "Let's go straight to Bethlehem and see what has happened, which the Lord has made known to us." • The shepherds may have been uneducated and poor, but they were smart enough to go check it out, accept what they found! • Are we smart enough to check out the Gospel and accept it? The Third Message of the Christmas Angels for us today is: The Gospel is the Good News about Jesus and we have no hope without it. Matthew 2:13-15 - After they were gone, an angel of the Lord suddenly appeared to Joseph in a dream, saying, Get up! Take the child and His mother, flee to Egypt, and stay there until I tell you. For Herod is about to search for the child to destroy Him. So he got up, took the child and His mother during the night, and escaped to Egypt. He stayed there until Herod's death. • These verses happen sometime after the actual birth of Jesus, probably about two years later. • The traditional Christmas story as we know it is over by the time these verses happen. • King Herod had been alerted that a new “king” had been born and he was afraid of the competition. • Not wanting competition for the title “King,” Herod ordered the murder of all the baby boys two years old and younger in the area where Jesus had been born. • That was an incredibly cruel act, but when people in power feel threatened, they often use their power in terrible ways. • Regretfully, our lives are often filled with pain because the people around us feel threatened, especially those with power over us. • An angel warned Joseph and told him to flee to Egypt. • There was a large Jewish population in Alexandria, Egypt. Joseph would have been able to find work and friends among the Jewish community there. • Joseph took his family and moved to Egypt even though it was disruptive to his life. Joseph was not able to return to Israel until after King Herod died. Even then he moved to Nazareth, instead of his home town. • Having to move a couple of times and settle in a different town than he may have wanted to was probably very frustrating, but imagine the consequences for his family if Joseph had not had God’s help in this terrible situation. • The reality is that trouble is going to come to each of our lives at some point, why not have God’s help when that trouble finally comes? The Fourth Message of the Christmas Angels for us today is: Following God does not mean we will never face problems in life, but it does mean that God will help us in those times of trouble. 1. We should pray in faith believing that God hears and responds. 2. God uses ordinary people to do extraordinary things if we are willing to be obedient to His plan. 3. The Gospel is the Good News about Jesus and we have no hope without it. 4. Following God does not mean that we will never face problems in life, but it does mean that God will help us in times of trouble. We all have our favorite movies that we have watched so many times that there are no surprises left. We know all the characters, all the plot twists and subtle details that make the movie so great. Because such movies are our favorites, we want to keep watching them, but because we know them so well, some of the excitement we used to feel about them has faded. Then, along comes one of those “documentaries” about how our favorite movies were made. 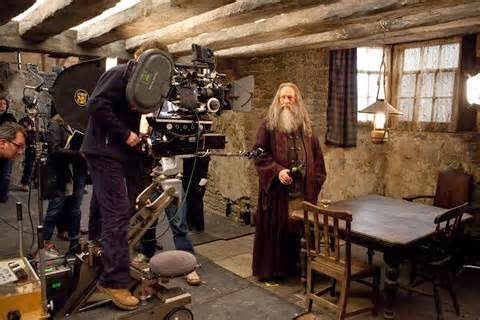 They reveal the behind the scenes details about the movie and we fall in love with it all over again because now we know the background of the movie as well as the movie itself. For those of us who grew up in a Christian environment, Christmas can sometimes feel like one of our favorite movies. We love the story of Mary and Joseph, the baby in a manger, the angels singing, the shepherds watching their fields at night, and the wise men following the star. We have read the story. We have watched it on television specials. We have heard countless Sunday School lessons and sermons about it. We have sung in, and watched our children sing in, so many Christmas pageants that they all begin to run together after a while. We have lit candles representing various aspects of the story and reflected on the story so often that sometimes it begins to lose the wonder it once had in our souls. But what if we could take a look behind the scenes? What if we looked at how the stage was set for some of the parts of the story long before the actual events took place? The prophet Isaiah does exactly that in several passages of scripture. One of them is Isaiah 9:1-7. Nevertheless, the gloom of the distressed land will not be like that of the former times when He humbled the land of Zebulon and the land of Naphtali. But in the future He will bring honor to the Way of the Sea, to the land east of the Jordan, and to Galilee of the nations. The people walking in darkness have seen a great light; on those living in the land of darkness, a light has dawned. You have enlarged the nation and increased its joy. The people have rejoiced before You as they rejoice at harvest time and as they rejoice when dividing spoils. For You have shattered their burdensome yoke and the rod on their shoulders, the staff of their oppressor, just as You did on the day of Midian. For the trampling boot of battle and the bloodied garments of war will be burned as fuel for the fire. For a child will be born for us, a son will be given to us, and the government will be on His shoulders. He will be named Wonderful Counselor, Mighty God, Eternal Father, Prince of Peace. The dominion will be vast, and its prosperity will never end. He will reign on the throne of David and over his kingdom, to establish and sustain it with justice and righteousness from now on and forever. The zeal of the Lord of Hosts will accomplish this. Though the first section of this passage may not sound very Christmas-like, most of us are familiar with the last two verses, which we often hear in Christmas services during the Advent season. Let’s take a look at the whole passage and see if it shows us a behind the scenes look at one aspect of the Christmas story. Verse 1 - Nevertheless, the gloom of the distressed land will not be like that of the former times . . .
• The focus of this entire passage is the birth of the Prince of PEACE, but it begins by talking about gloom. Wow, what a way to start a Christmas scripture! But let’s be realistic, many of us desire to experience peace, both with God and with those around us, but we are so focused on the gloom in our lives that peace often eludes us. • When this scripture was written, the nation of Israel was at war, their economy was strained, their taxes were high and they had unpopular leaders. They were an entire nation of distressed people. • Many people in our nation today are distressed for the very same reasons. We seem to always have a war to fight somewhere in the world. Extremists in the Middle East are beheading our citizens at will and foreign governments hack into our companies’ computers and we seem powerless to stop them. Our leaders have very low approval ratings, regardless of which political party they are in. On a national level, it seems that our culture is more pessimistic and skeptical than ever before. There sure seems to be a spirit of gloom in our nation. • But it is not just on a macro level that we sense a spirit of gloom. Many of us feel it on a personal level as well. Some things that take away our sense of personal peace include: Past failures in marriage, jobs, education, friendships, or life goals. Unresolved grief from the loss of someone or something that was important to us. A sense of isolation and loneliness even though we are surrounded by people. The contrast we see between our lives and the lives of those around us who seem to have it all though we struggle to have even a small portion of it. Sometimes we cannot even put words to why we feel down about our lives, it is more of a general fear of the future and what might happen in our lives. Though we know that during this special time of the year we should be filled with joy, happiness and peace, instead we are sometimes overwhelmed with gloom, anxiety and distress. So it makes sense that Isaiah would begin our behind the scenes Christmas tour by talking about the gloom and distress we often feel on both national and personal levels. Thankfully, Isaiah does not end the tour there. Look at the rest of verse one. Verse 1 - . . . But in the future He will bring honor to the Way of the Sea, to the land east of the Jordan, and to Galilee of the nations. • Notice the verse moves our focus from the gloom the Israelites were currently facing to the honor they would have in the future. Isaiah did not want the Israelites to obsess on their current struggles, but to look to a future that God was creating for them. • It is important to remember that the struggles and problems we are facing in our own lives right now will eventually pass. Just because it seems like we have always struggled does not mean that it always has to be that way. God can and does change people and situations. 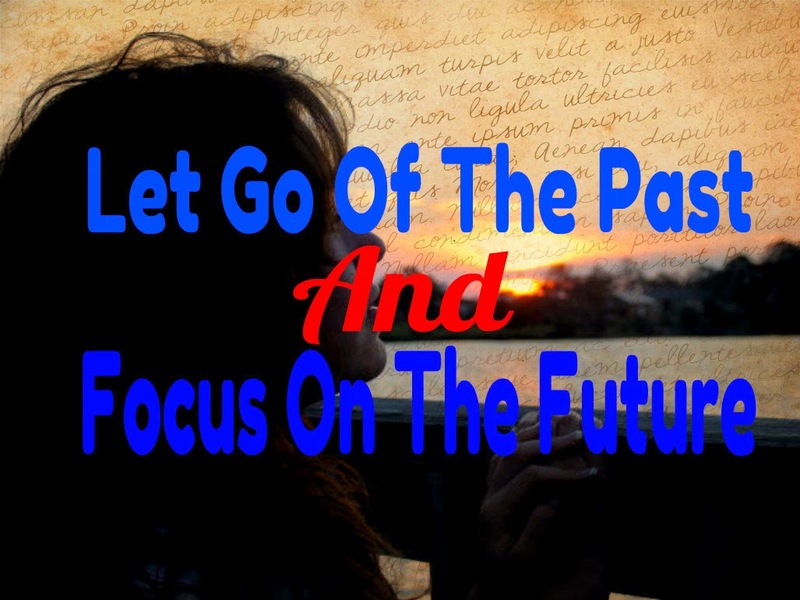 We must learn to focus on the future instead of being trapped in the past where we relive our struggles over and over again. But to finding lasting peace, we must focus on the RIGHT future, the future that God is creating. Let’s look at the scripture again. • “Galilee of the nations” refers to a part of Israel which centuries later Jesus would spend a lot of time in. At the time this scripture was written, few would have guessed the great importance Galilee would have in the life of Jesus, the baby born in the manger. The Hebrew word for “nations” is “goyim” and refers to all the non-Jews who would one day believe in Jesus. When this scripture was written, it would have been hard for the people reading it to realize just how much Jesus would be a part of the lives of non-Jews in the future. It was just now how people thought at the time. But calling vast numbers of non-Jews to follow the Jewish Messiah who was born on Christmas was God’s plan all along. The future was very exciting, but so far out of the way the ancient Israelites viewed the world, that it was hard for them to grasp. In fact, many of them missed it when Christmas finally came. Sadly, many of them still miss it today. Many Jews today still do not recognize the baby born in the manger on Christmas was their long awaited Messiah who could change their lives. • The reason some people are unable to move forward toward the future God wants them to have is because they continue to focus on their own plan for the future. This only leads to further anxiety and gloom. We have all experienced times in our lives when our carefully made plans fell apart. In those moments we have to decide if we will persist in our own fruitless plans or look for a new way to live by following God’s plan for our lives. A positive future is focused on God’s plan for our lives. That is the pathway to honor and it shines light into the gloom of life. Let’s look at verse two. Verse 2 - The people walking in darkness have seen a great light; on those living in the land of darkness, a light has dawned. • All of us have walked in darkness at some point in our lives. Some of us are still stumbling around in the dark trying to figure life out. But we do not have to live our entire lives in a fog of confusion and darkness. Having a vibrant relationship with Jesus is the key to getting out of a life of stumbling in the darkness. • Too many of us are trying to have a relationship with God in general terms, but the only way to relate to God the Father is through Jesus Christ, His Son. To find real peace in our lives we must first accept Jesus as not only our Savior, but our Lord (boss, ruler, or controller). Then we must focus on building a strong relationship with Him. • As we strengthen our relationship with Jesus, we learn to let go of the past and are able to focus on the future that He wants us to have. His light slowly penetrates our darkness, helping us find new strength to put our future in His hands instead of trying to control the future ourselves. This is hard, but vital to discovering real peace. Do we really believe God has enough power for us to trust Him with our future? • The first part of this passage reminds us that God had enlarged the nation. Remember, this was written in a time of war, a war which was not going well, yet God had enlarged the nation anyway. • God has a way of enlarging our lives even in the midst of difficulty and trials. We have to decide if we are going to learn from the times of difficulty or be beat down by them. • The next part of the passages says that God shattered the yoke the enemies of God’s people had put on them. Likewise, God has the power to shatter the things that hold us back from finding peace. The very things that seem to be holding us back can become stepping stones instead of stumbling blocks once God gets involved. When that happens, we find lasting peace in the midst of challenging life circumstances. • But for this to happen, we must live blessable lives. Though none of us are perfect, we must always strive for godliness because God seldom blesses us if we are living unblessable lives. Our efforts to live godly lives are intricately wrapped up in our understanding of and relationship with Jesus Christ, the baby born in the manger. Who was this baby? Verse 6 - For a child will be born for us, a son will be given to us, and the government will be on His shoulders. 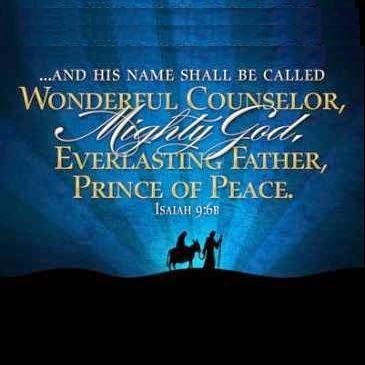 He will be named Wonderful Counselor, Mighty God, Eternal Father, Prince of Peace. • Over 700 years before the birth of Christ, He was already the PRINCE OF PEACE. Just the promise of this little child was enough to shift the focus of a whole nation from dwelling on a terrible war onto a expecting a bright future. • The government is on His shoulders. Praise God the government is in God’s hands and we do not have to figure all the politics out in order to find lasting peace! • He is a wonderful counselor. Praise God we do not have to sort out all our personal problems in order to find lasting peace! • He is the Mighty God. Jesus is not just a man, but God in human flesh. That means He has all the power He needs to set things right in our lives and our nation. He can do this! • He is the Eternal One, so His promises will last forever, He will not desert us! • Because of all these things, Jesus really is the Prince of Peace. He can calm all the raging emotions and confusing anxieties in our lives. • But in order to have lasting peace, we must let Him be the Prince of Peace in our lives instead of fighting against His rule and reign in our lives. Have we really opened up our hearts and minds to let Him rule us and give us lasting peace? Sometimes it seems that we can do this for a period of time, but then our peace begins to fade. Our own passion, our own excitement, our own zeal, will often fail us. We need to find a source of zeal outside of ourselves. Verse 7 - . . . The zeal of the Lord of Hosts will accomplish this. • Isaiah knows that our own zeal will fail us. Which is why he reminds us that all these things the baby in the manger would accomplish would not be done by a man’s power or by a denomination’s declaration or by a theological statement written in some book of prayer. It would be accomplished by God Himself and He would do it with His own zeal! • Zeal means passion and power. Jesus has zeal for us. Will we let His zeal carry us out of gloom and darkness and into His glorious light? Will we let His zeal inspire us, carry us, challenge us, consume us, until it bubbles out of us and overflows into those around us? When this happens, we will find lasting Christmas peace, not just at Christmas, but all year long. 1. Accepting Jesus as both our Savior from sin and the Lord of our lives. 2. Allowing His light to penetrate our darkness so we will be able to let go of the past and focus on the future God wants for us. 3. Doing our best to live a life that is blessable, but resting in His grace when we fail to do so. 4. Having the zeal of God in our lives, which is far greater than our own passion or excitement. Recently I interviewed my high school friend Tim Albury, who is a business man who lives in the Bahamas. Terry: Tim, tell us a little about yourself. 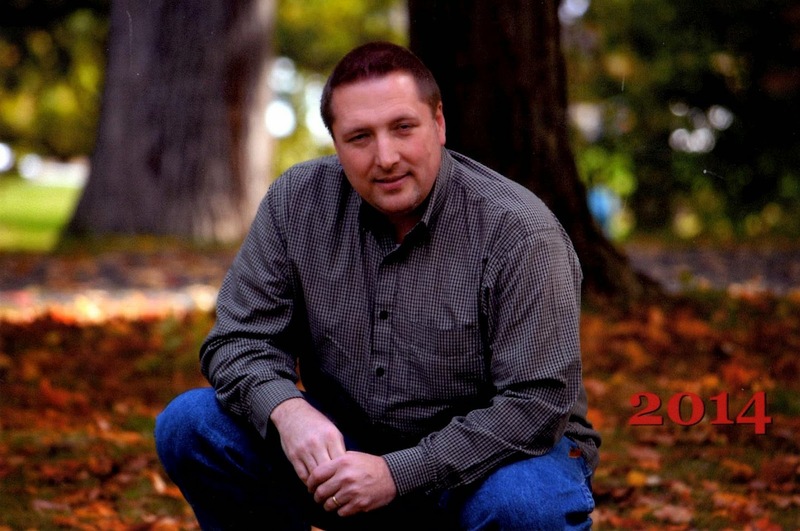 Tim: I am a disciple of Jesus Christ, happily married to my wife and college (Liberty University) sweetheart since 1988, and a father to three wonderful, adult children. I have served my local church as a Bible teacher and spiritual mentor to youth for almost my entire adult life. I am a CPA and an executive in the pharmaceutical industry. Terry: For 16 years you have been teaching young adults in church. What have you learned about young adults that caused you to want to write Reason If You Will? Tim: I have seen firsthand the statistics of churched youth dropping their faith upon leaving the home. Most of that falling away happens due to the influence of liberal arts colleges and universities. I have also observed that the church does very little to train young people on how to actually defend the faith. Yes, there are numerous books that are dedicated to the evidence and written on levels above the average reader. But, there is virtually no resource out that guide on “how” it should be done. I believe if more young people and even adults in the church were show how to do this on their level, they would not only have greater success in maintaining their faith, they would also influence others towards accepting it. Terry: What is the key point of the book and how do you hope it will assist young adults? Tim: The key point of the book is that scripture calls us to reason, not argue. We are called to reason with others just as God reasoned with mankind. There was no greater role model of the technique for how to reason with others than Jesus Christ. And, His method of answering questions regarding faith was to respond with questions. Respectfully responding with targeted questions is the proper form of defense when done gently and respectfully. Asking questions is reasonable and relational. And, done well, it can be winsome. 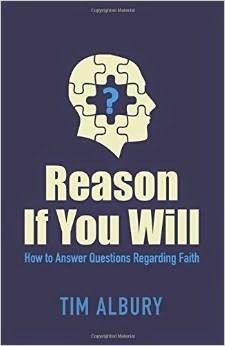 Therefore, I designed the book to walk through all the significant attacks on the faith by topic, while offering sample questions in each topical area that any Christian can use to navigate a conversation with someone asking a genuine question about our faith. Terry: Who type of person will benefit the most from reading this book and why? Tim: While I believe all Christians can benefit from reading this book, it is best suited for those that young-to-middle-aged. It can help young adults in navigating the religious assaults that commonly accompany independent phases of life. It can also help parents who are raising young adults towards being better defenders of the Gospel. Thirdly, it can help any person who has doubts to reason with themselves. Terry: What is the main thing you would like people to walk away with after reading your book? Tim: I would like every reader to walk away after reading this book entirely capable of defending the faith with anyone from any walk of life, the way Jesus did. Terry: If you could offer one piece of advice to parents of Christian young adults and the church leaders who serve them, what would it be? Tim: Faith in the Gospel of Jesus Christ has its foundation in God’s identity and our identity. God’s enemy uses many attacks and varied techniques. But, they are all directed at either challenging God’s identity, our identity, or both. Too many Christians invite the world to help them define who they are or who God is. God has already done both in the most spectacular fashion. My advice to all Christians is to be daily grounded in God’s identity as exclusively revealed in the Bible. And, that Bible exclusively reveals our God-given identity. That identity for every Christian is that of pure, royal immortality. That is who you are as a Christian. All other voices need to be daily made to bow before God inside of us and remain in that posture until they are dismissed. The true battle for defending the faith happens in our own minds where the spiritual war is commonly waged, not in arguments with others of flesh. Terry: I understand that you plan to donate the proceeds from your book launch to a Christian camp. Tell about the camp and why you want to help? Tim: I am a native of the Bahamas, where my first earthly kingdom love lies. Camp Bahamas is a Christian camp built and formed by my brother several years ago. It exists for the benefit of underprivileged youth of the Bahamas. It is located on an island named Eleuthera. 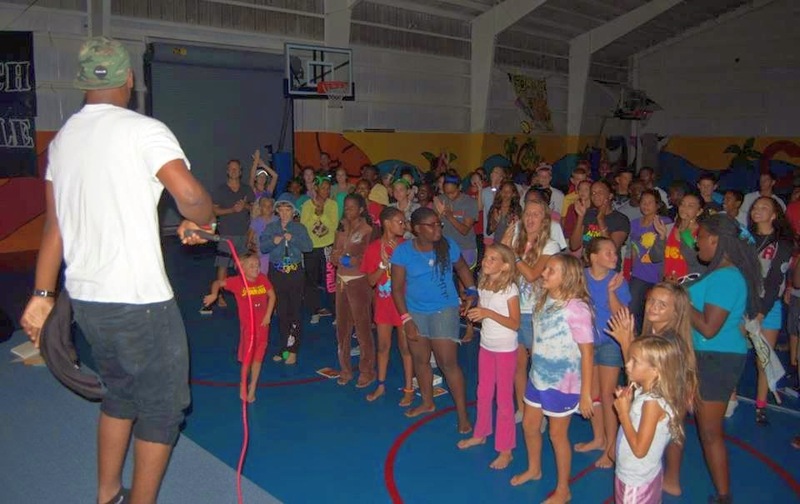 More can be learned about the camp at www.campbahamas.com. All of my profits from the launch of this book will be donated to Camp Bahamas. I am donating my profits to Camp Bahamas because I see God’s redemptive work active there in claiming lost souls of my homeland for God’s Kingdom.